Model P1 Wallet Style iPhone Case, GREAT FOR THE APPLE CARD! Those who accept free products as compensation for posting our products. Also, those who feature accessories for Apple products, iPad, iPhone, tech accessories, cases and bags. The Model P1 iPhone Wallet Case is lightweight, rugged, stylish and made of ultra-durable, scratch resistant ballistic nylon material. It’s compatible with the iPhone 7, 8, 6S and 6. The front cover opens to reveal two layered pockets that can hold credit cards, ID and bills/small notes (GREAT FOR THE APPLE CARD). The specially designed pockets provide full coverage of credit cards so that they won’t scratch the iPhone screen when the front cover is closed. The full coverage pockets also conceal the credit cards for privacy. For easy accessibility to the credit cards, the edge of the pocket folds open. 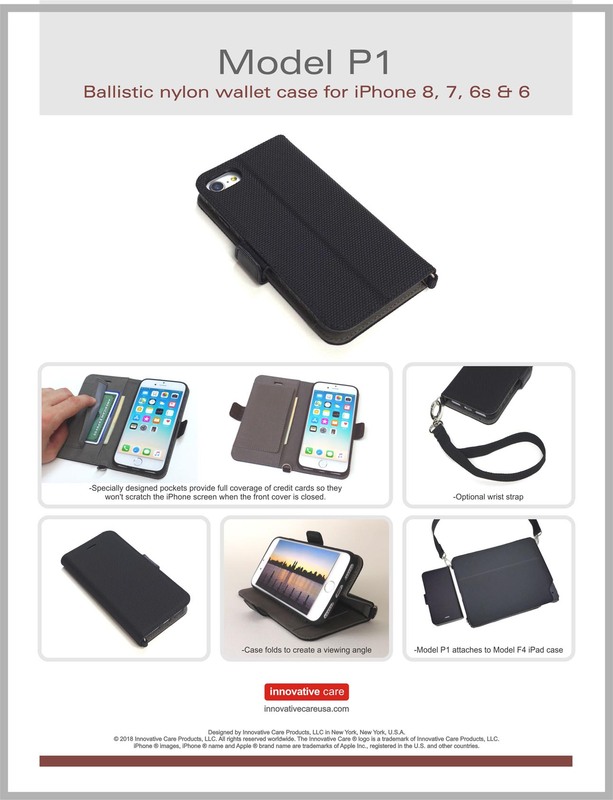 Offered by Model P1 Wallet Style iPhone Case, GREAT FOR THE APPLE CARD! Initially we would like to offer free samples as compensation for posting our products on your Instagram page. Depending upon the results from your post, we can discuss plans for working together.